When staying at the Sian Ka’an Village it might be hard to imagine doing anything else other than soaking up the Caribbean sun on one of the world’s most pristine white sand beaches. 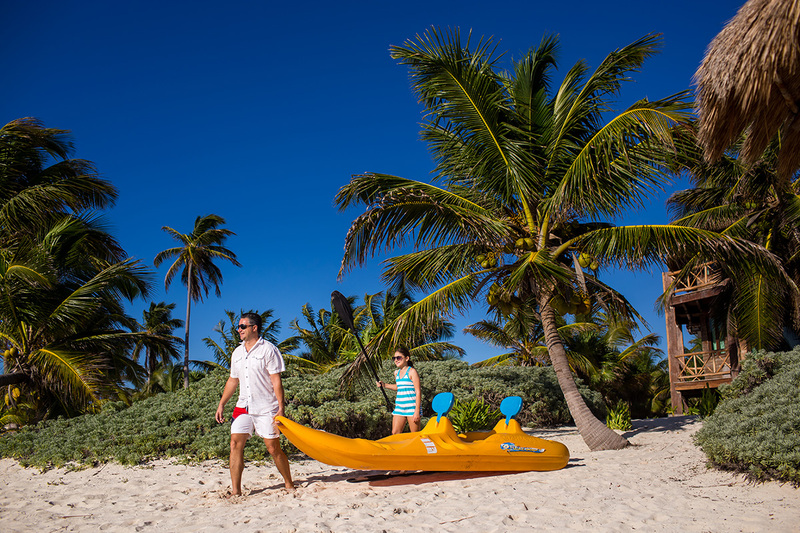 Sian Ka’an activities might be the last thing on your mind. The stunning escape, located within the privileged enclave of the Sian Ka’an Biosphere, is the ultimate getaway for those seeking a truly relaxing experience. However, in addition to lounging in the eternal bliss of one of Mother Nature’s most beautiful works of art, the luxurious beachfront property provides a diverse array of eco-friendly Sian Ka’an activities that will create the first “To Do” list you won’t mind finishing. While some might choose to play the role of a castaway, others can indulge in everything from exciting land excursions to a wide variety of seafaring adventures. With so many Sian Ka’an Activities to enjoy, staying busy at the Sian Ka’an Village is simply a matter of choice. The calm waters and gentle breeze create the perfect setting for an invigorating day at sea. Grab a paddleboard or kayak and head out for an energizing escape amongst the subtle waves and crystal clear waters of the Caribbean. 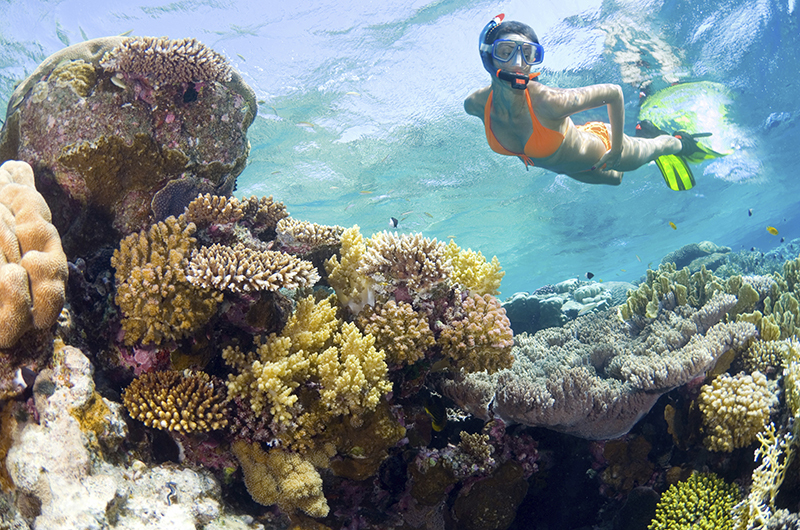 Dive in for an exclusive chance to snorkel amongst the schools of fish and marine life that create a circus of color and beauty not far from shore. 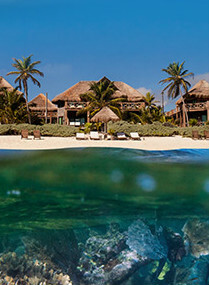 Or reserve a scuba diving or fishing excursion for a more extreme water experience. Each of the Sian Ka’an activities, available to guests of the Sian Ka’an Village, will have you and your companions checking off items on your travel bucket list. The fun continues on shore, where a plethora of indoor and outdoor Sian Ka’an activities will keep guests of all ages entertained for hours on end. Jump on a bicycle for a unique tour of the surrounding Sian Ka’an mangroves, enjoy a delicious picnic on the beach prepared by the property’s skilled chef or sit around a bonfire at night while gazing up at the magnificent display of stars above. The luxury rental property also provides a slew of entertaining ways to escape the outdoor heat in the Sian Ka’an biosphere, which is easier than ever with the large variety of board games on-site and the opportunity to belt out the lyrics to your favorite songs while enjoying karaoke with your loved ones inside. With so many Sian Ka’an Activities, deciding how you want to spend your days on vacation in Mexico’s Caribbean might be the hardest thing you do during your stay at the Sian Ka’an Village. Next PostWhy visit the Sian Ka’an Biosphere?